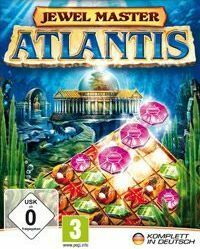 Jewel Master: Atlantis is a puzzle game created by Cerasus Media studio. Player solves puzzles such as "combine three elements". (match-3), thanks to which it acquires the raw materials needed to rebuild the legendary city. For a millennia, adventurers have sought the sunken kingdom and its countless treasures – but who created the mystic city in the first place? Discover the secret, erect magnificent buildings and restore Atlantis to its former glory! Build rows of three or more of the same symbol – you’ll have huge chains built before you know it! Collect ancient artefacts and secret treasures that you can use to build your city.